For the first time Tangoproject en moviemiento presents guest teachers from Paris: Céline Tiberghien & Chanelle Dumet as Edith & Marcelle! They will delight us with three inspiring workshops on Friday 14th April, 2017. The Milonga with a DJ surprise on Thursday 13th of April, 2017 will be held at „Was Bleibt & Co.“, Alexandra Prusa’s amazing event location in Zurich. 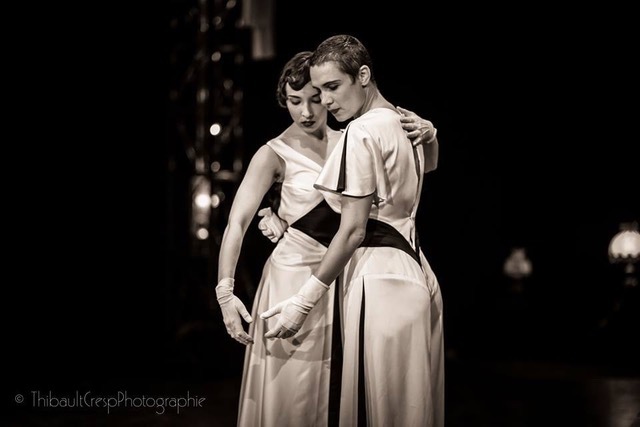 Come and dance with us in a unique atmosphere and enjoy not only a glamorous Tango show from Edith & Marcelle; our graceful Burlesque artist Minouche Von Marabou and famous actress & singer Alexandra Prusa will entertain you and set the cherry on top! Dancers from all around the world are very welcome to join us and to share the magic of Tango! Don’t hesitate to contact me [Irene Gwerder igwerder@hispeed.ch] if you need any help or information about accommodations in Zurich. We are looking forward to see you in April!